Carl Diebold Lumber Company is a full service custom lumber remanufacturing facility. We are a secondary wood product production business with years of experience in both softwoods and hardwoods. We can meet all of your production needs with modern equipment such as; moulders, resaws, dry kilns, and more. In 1940, Carl Diebold opened a wholesale lumber office in Portland, Oregon. This became Carl Diebold Lumber Company. In 1946, Mr. Diebold built a stud mill in Myrtle Point, Oregon. Having just returned from serving in World War II, his son-in-law, Dean Bramon, took over the operation of the mill. In 1952, Mr. Diebold and Mr. Bramon purchased a redwood mill in Smith River, a small town in northern California, and in 1953 closed the Myrtle Point mill. 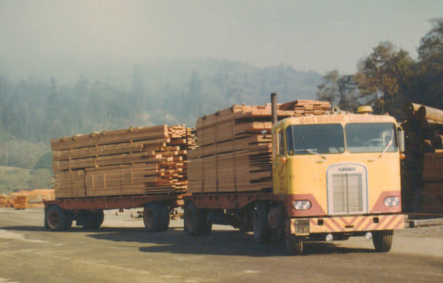 The company expanded in 1959 and built a distribution yard along Hwy 84 in Wood Village, Oregon. In 1968, the Redwood National Parks were established taking logs off the open market. The Smith River mill could no longer operate. In 1975, Mr. Diebold passed away, but the distribution yard continued to thrive under Mr. Bramon’s leadership. The business grew and a small lumber remanufacturing facility was opened to service its own accounts. In 1984, it was determined that there was a great need for a custom remanufacturing plant large enough to service other brokers in the lumber selling business. By this time, Mr. Bramon’s son-in-law, Jim Patrick, had been with the company for over 20 years. In 1989, a new remanufacturing plant was built in Troutdale, Oregon, and Mr. Bramon turned over the operation to Mr. Patrick, creating a third generation business. The 17-acre building site now features a 40,000 square foot milling facility, and 40,000 square feet of covered storage. In 2006, three kilns with a 240,000 capacity of board foot per charge were added, as well as a 15,000 square foot building for sticking and de-sticking. Dave Smith, a second-generation employee (his father, Earl Smith, was the superintendent of the Redwood Mill in Smith River) is the superintendent of the remanufacturing plant in Troutdale. Carl Diebold Lumber Company is as always, dedicated to quality and service and gives a personal touch to its customers. Carl Diebold Lumber Company is here to stay for years to come.